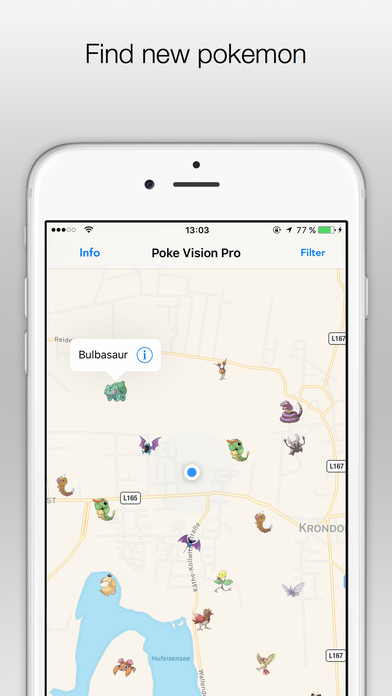 Poke Vision Pro is an app that helps discovering any pokemon that has been found by other players. Since all pokemon are added by the community, its possible that there may not be pokemon locations in your area when you first download the app. But you can change that! Simply add a new pokemon that you found and other players will see it too. This app will periodically be updated with new features.